Collection of 'Coolest Display Gadgets You Must Have' from all over the world. 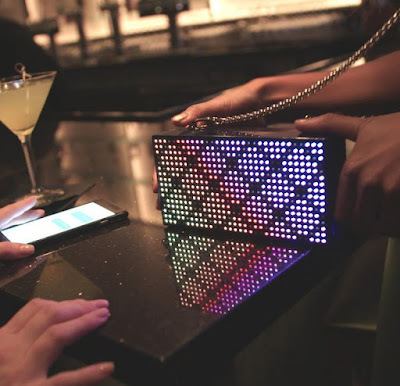 Smart Clutch: The Smart Clutch displays your personalized text messages and GIF animations. Use its app on your iOS and Android to personalize messages. Apart from these it also features a mirror, USB port to recharge your smartphone, storage space for your smartphone, lipstick, money, and credit cards. Buy Now: $600. Smart Interactive Clothing: The Interactive Clothing displays text messages, animations, tweets and more with just a touch of your smartphone. More info. 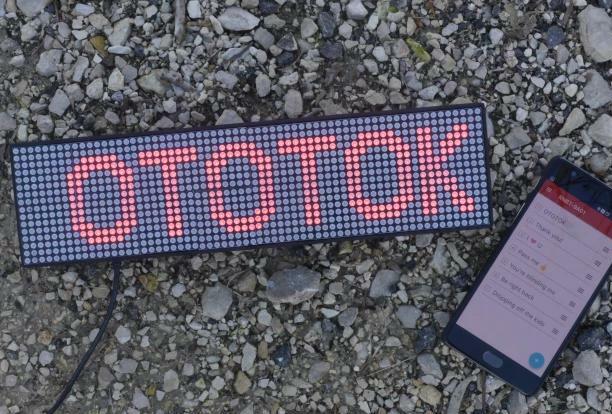 Ototok: Ototok is a smart display that's designed to be your voice on the road. 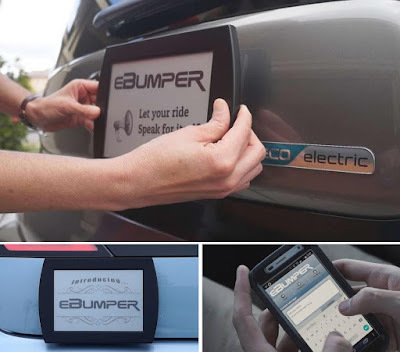 It lets you customize messages and displays them on your car. Use its app on your smartphone, your voice, or TokMote - remote control to tell other drivers anything you want. Reserve Now: $79. Broadcast: Broadcast is a smart programmable t-shirt that displays words and images from your smartphone. 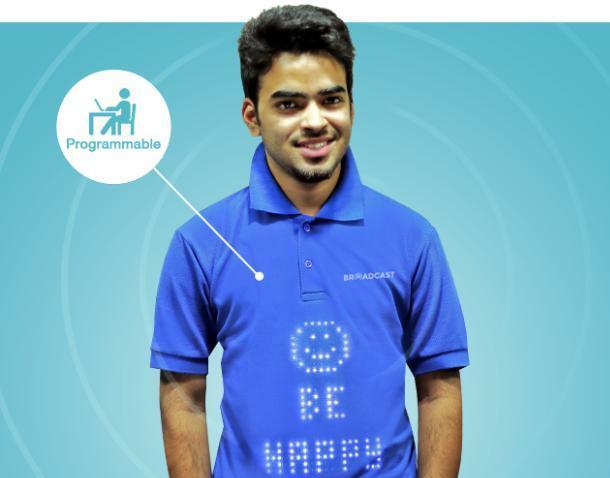 This touch enabled t-shirt is easy to program, and its app supports iOS and Android phones. It's waterproof and washable. Pre-order: $69. 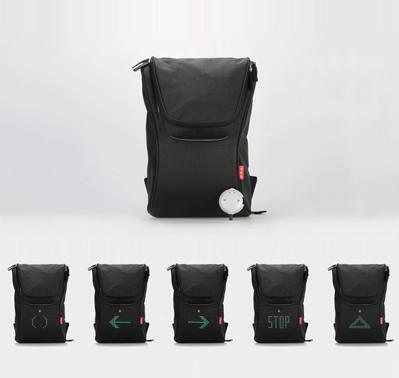 Seil Bag: Seil Bag is designed to keep cyclists visible and safe; it lets you display your direction and messages on the move. Using its wireless controller you can send traffic signals and short message to the smart bag. 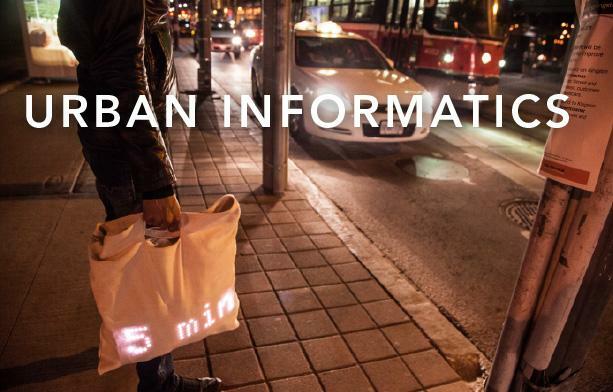 And using its app you can send text, image, and animation to the bag's color display. It connects via Bluetooth 4.0, and features 1500 mAh that lasts a minimum of 24 hours between recharges. Buy Now. Pins Collective: If you can't express with spoken words or if you are in a situation where spoken words don't really express you, we got for you Pins Collective - an expressive pin. 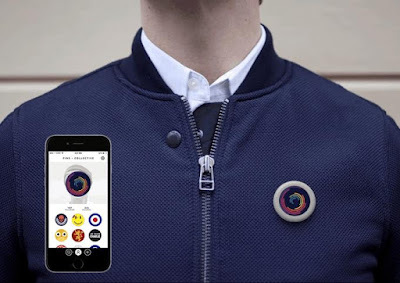 This pin works along with its app on your iOS and Android devices and lets you write any text, use background patterns and colors you want and then wear it. You can even use the shared works of other. To change between these, all you need is just a few clicks. More info. 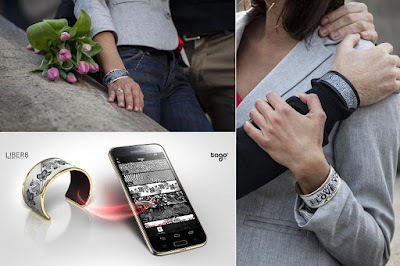 Tagoarc: Tagoarc is a smart E-ink bracelet that's high tech, cool and elegant. It works along with its app on your smartphone and lets you customize it. You can tag any pattern or text you want on your bracelet via its app. Buy Now: $399. 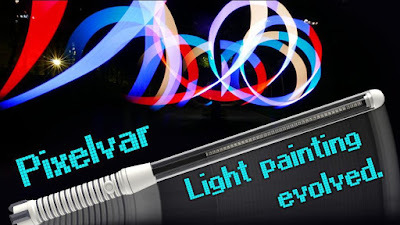 Pixelvar: Pixelvar is smartphone controlled handheld light that's based on human visual systems "Persistence of Vision". All you need to do is press the button on the device and upload pictures chosen from your smart phone using its app and wave it. When you wave, it displays texts or images in mid air. More info. Spud: Spud is a high resolution screen that folds and expands like an umbrella. 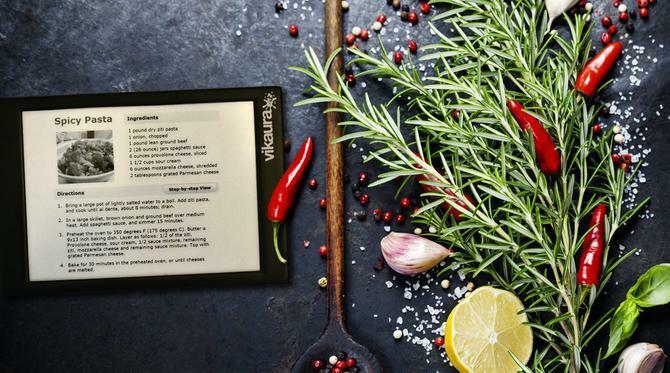 This 24-inch display is ultra portable, folds just like a ruggedized umbrella to the size and weight of a paperback book. It connects to your smartphones, smart devices, laptops, and more. Pre-order: $399. Loop: Loop is a smart connected home display that gives you an easy way to stay connected with your family and friends. 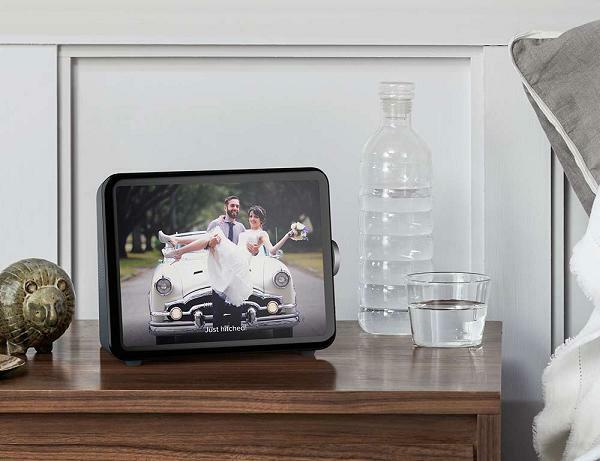 It lets you enjoy all of your photos and videos, shares effortlessly and video chats on a Wi-Fi connected display. It connects to all your sources of photos and videos and organizes them into channels. You can stay connected by video chat between two Loops or between a smartphone and a Loop. Buy Now. 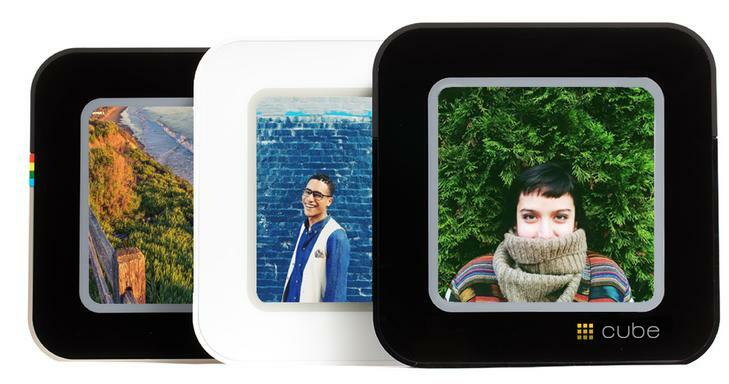 Cube: Cube is a smart display that lets you enjoy photos and videos without a smartphone and provides the best Instagram photo and video viewing experience. It displays your personal Instagram photos and videos. You can also personalize and send photos and videos that you created on Instagram directly to your smart display. More info. Vixole E-Sneaker: Vixole E-Sneaker features a built in display that works along with its app on your smartphone and lets you customize it. 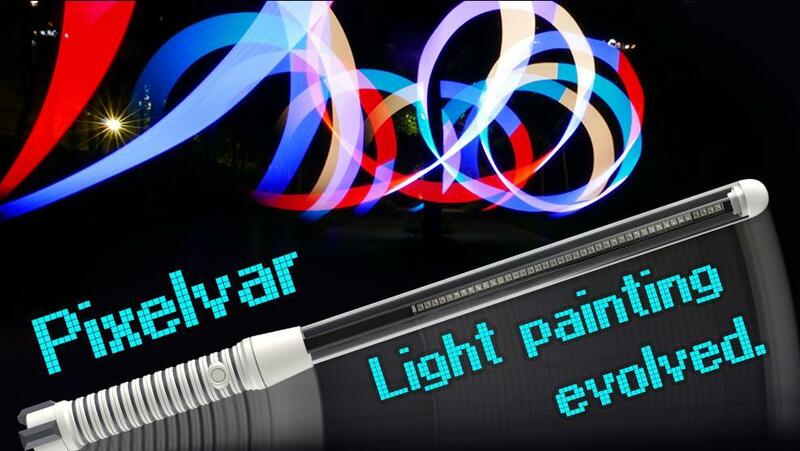 It also features motioncaputre, music interaction, wireless recharging and more. Buy Now. EBumper: eBumper is an automotive display that you can control using your smartphone. Use it to promote your business, share your viewpoint, or update your followers on social media. This E-ink display connects to your smartphone via Bluetooth 4.0 LE. More info. 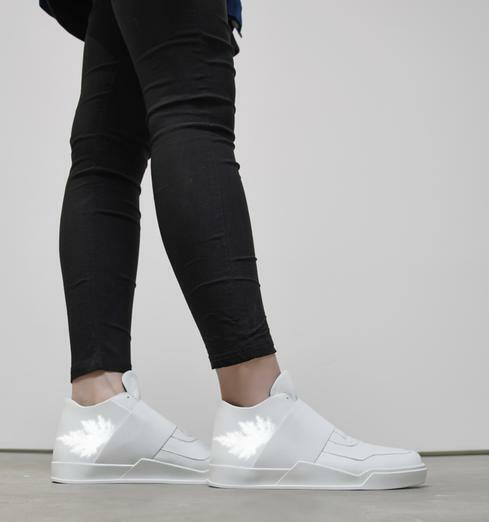 Volvorii Smart Shoe: The Volvorii Smart Shoe lets you change colors and design patterns via a smartphone app to match your outfit. More info.